There are 57 Veterans slated to fly on Mission 64. They include 6 World War II veterans, 31 Korean War veterans, 15 Cold War veterans and 5 Vietnam veterans. They served in the in U.S. Army (37), U.S. Navy (11), U.S Air Force (6), U.S. Marine Corps (2) and U.S. Coast Guard (1). “We are excited to start our eleventh year of operations and look forward to sharing our community’s thanks with more area Veterans. With ten successful years behind us, this year we have reorganized our operations to achieve more efficiencies and greater volunteer opportunities as we start a new decade of service. 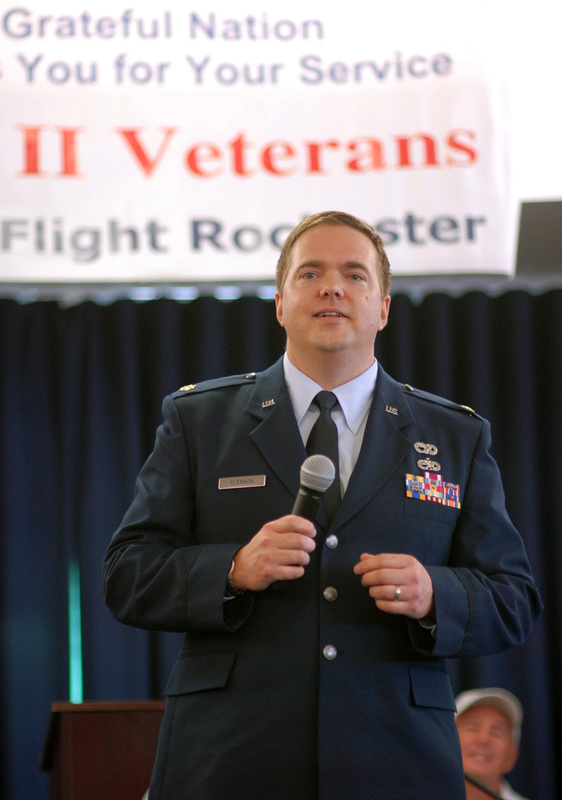 Mission 64 is the result of those efforts,” said HFR Co-founder & Chairman of the Board Peter J. Glennon (Maj. USAF ret.). This is the first of six missions for 2019. Not including Mission 64, HFR has escorted 3,045 men and women veterans on 63 Missions, all funded through the generous of donations from our community including individuals, organizations, corporations and hundreds of volunteers. People interested in volunteering or donating to HFR can find information on www.HonorFlightRochester.org. 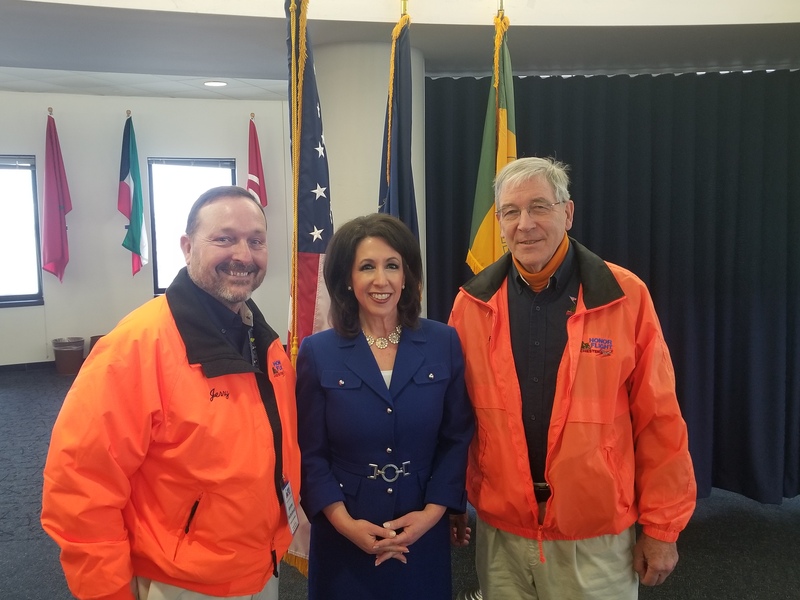 County Executive Cheryl DiNolfo with Jerry Butterbrodt and Rich Stewart at the airport on March 21 to announce the 2019 Rochester International Airshow on Aug 24 & 25 featuring the U.S.A.F Thunderbirds. The presenting sponsor is American Equipment of Farmington, NY. Proceeds from the weekend will benefit Honor Flight Rochester. 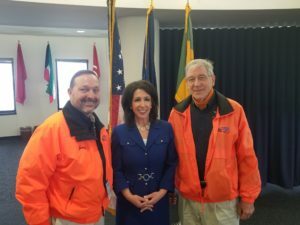 Posted in News | Comments Off on County Executive Cheryl DiNolfo with Jerry Butterbrodt and Rich Stewart announce the 2019 Rochester International Airshow featuring the U.S.A.F Thunderbirds. 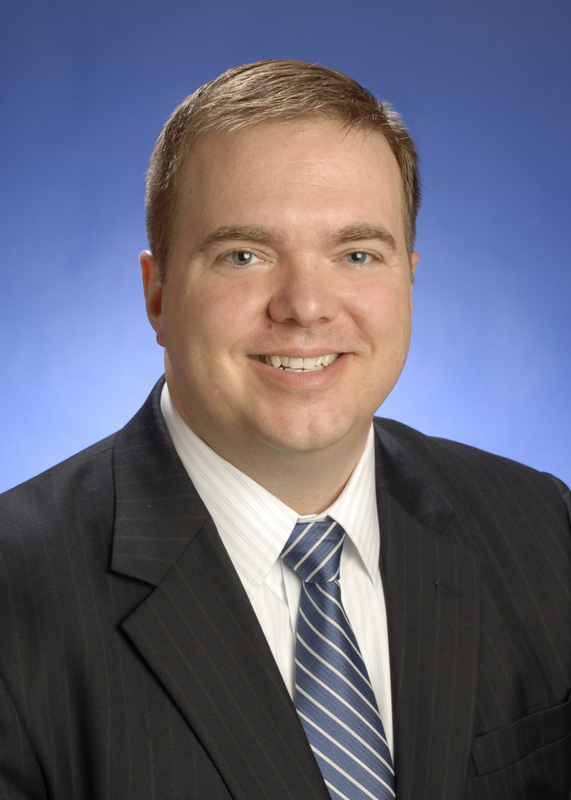 ROCHESTER, NY – Peter J. Glennon, co-founder and chairman of the board of directors for Honor Flight Rochester, Inc. (HFR), is among this year’s honorees selected to the New York State Senate’s Veterans Hall of Fame. Glennon is the principal of The Glennon Law Firm, P.C. 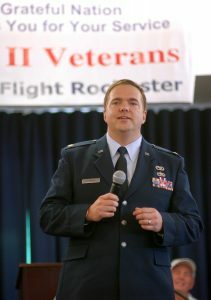 He retired from the U.S. Air Force/New York Air National Guard with the rank of major after more than 24 years of service. Click on the link below for the full story! Visit Honor Flight Rochester at the Lilac Festival! Come see our booth and talk with our staff. Join us as we kick off the Festival honoring all veterans, active military and service men and women. Attendees are encouraged to purchase a small American flag which they will plant in large six foot letters spelling out USA. The letters will remain on display throughout the festival as Honor Flight of Rochester continues their fundraising efforts. Joe Brucato, local singer/songwriter will be playing his patriotic originals with Mike Gladstone. Peter Glennon will speak at 11:30, Rich Stewart at 7:30 am. See you there!